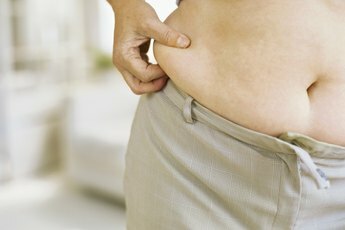 Does Running Consecutively Help You Lose Weight Faster Than Running in Spurts? Finally lose that unattractive, and dangerous, waist fat by adding spurts into your running routine. Continuous running will burn calories, but you can lose weight faster when you incorporate brief spurts of speed in your runs. Changing up your speed adds some fun variety into your workout, as well. Interval training, which is adding short bursts of high intensity into your cardio workout, burns more calories and more effectively targets pesky waist and subcutaneous fat than continuous running. Interval training is easy to fold in to your running routine. Essentially, all that is needed is to switch between brief periods of running at your maximum speed to bring up your heart rate and running at an easier speed to recover. If you are a less experienced runner, slow it down to a walk for your recovery period. Intervals can be added to running in a number of ways. You can keep it easy by alternating between equal periods of time, such as three minutes of running hard followed by three minutes of walking. For those who are not as fit, you can do 30 seconds of an all-out sprint followed by four minutes of recovery. Even that small spurt is enough to activate all the benefits of high-intensity interval exercise. In a study published by the Journal of Obesity, test subjects who did six seconds of high-intensity cycling followed by 30-second recovery periods increased the release of hormones in their bodies that specifically attack subcutaneous fat. In the same study, the loss of subcutaneous fat from the subjects who performed regular, moderate exercise was negligible. 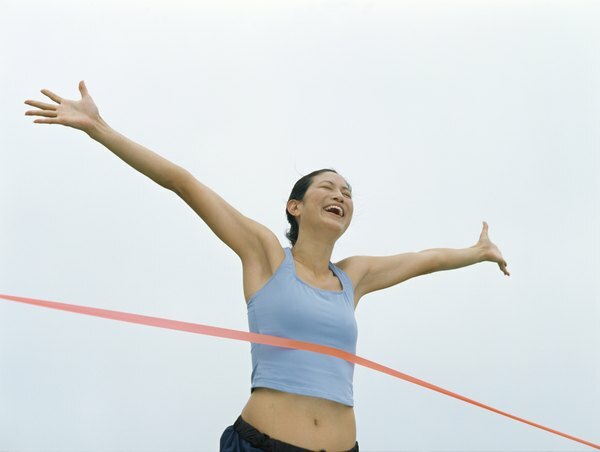 For losing weight around your waist, spurts of extreme exercise blows consecutive exercise out of the water. Your volume of oxygen consumption, referred to as your VO2, is a key player in losing weight. The more oxygen you consume, the more oxygen attacks your fat cells to break them down into energy. Intense exercise affects this because the harder you work, the harder you breathe, bringing in all that fat-burning oxygen. The other big factor for getting oxygen where it's needed is your heart. Sedentary people with untrained hearts are not as effective with oxygen delivery as athletes. High-intensity intervals improve your heart and raise your VO2 consumption ability far more than continuous moderate exercise. That means weaving spurts of sprints into your runs over time will increase your body's ability to lose weight, turning you into a fat-burning machine. One of the best benefits of interval training is that it tricks your body into continuing to burn fat long after you stop working out. You could take a nap after an interval routine and still be losing weight. This happens because of all the hormones you have released during an interval workout that attack your fat cells. Those hormones also prevent hypoglycemia, so if you find yourself turning into a zombie after a workout, try interval training to keep a sugar crash at bay. Does an Hour in an Indoor Cycling Class Equal a Run? 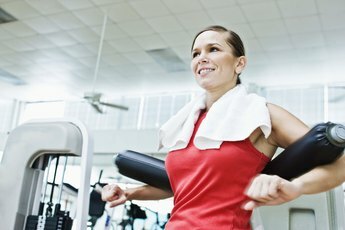 Can You Burn as Much Fat on the Elliptical as Running? Does Running on a Treadmill Slim Your Waist? 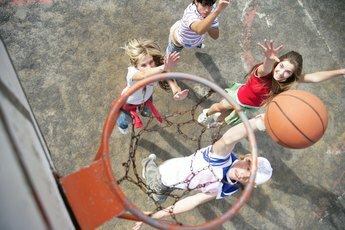 Does Basketball Help Your Lung Capacity?